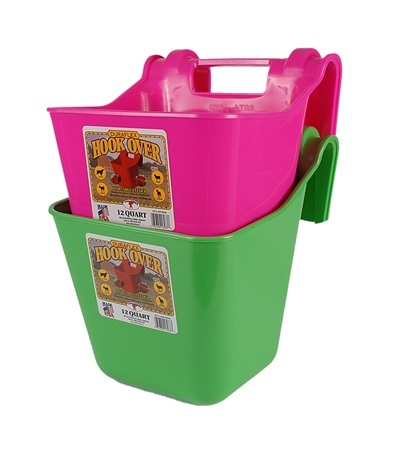 Hook Over Fence Feeder 12 qt. 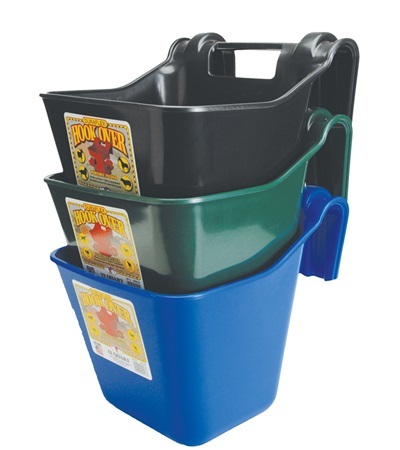 - Jacks Inc.
Hook Over Fence Feeder 12 qt. 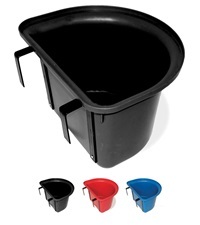 This portable feeder is ideal for field, pasture, trailer or stall. 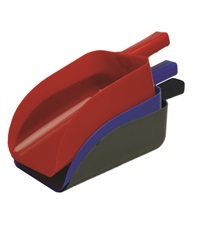 The durable, molded bracket easily hooks over any "2 by" board to instantly deliver a sturdy feed bucket. 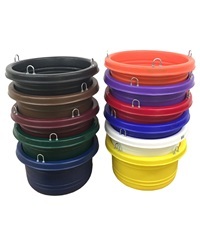 For more permanent installations, simply set two screws in the holes provided. 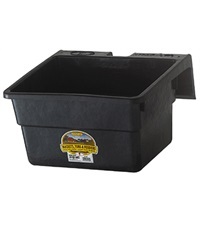 Over Fence Feeder 15 qt. 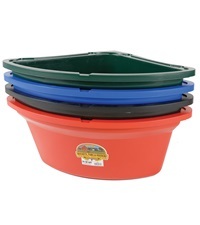 Fence Feeder Rubber 18 qt. 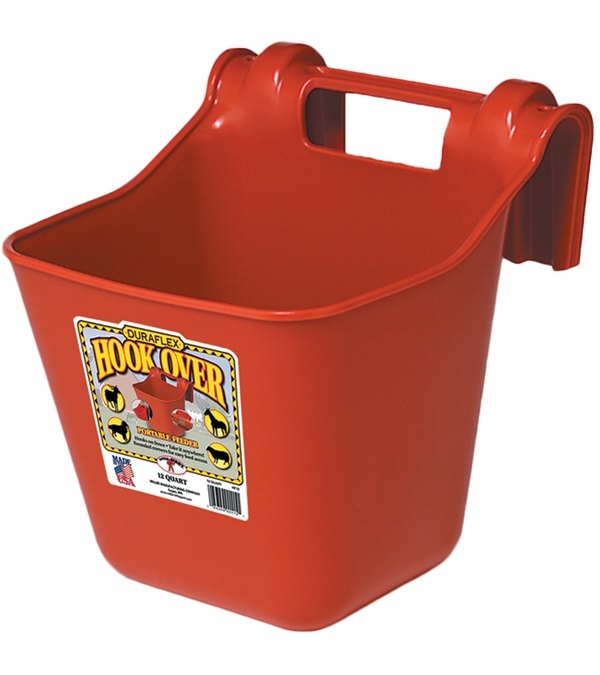 Economy Feed Scoop 3 Qt.